View a collection of photos of students who have worked with me. 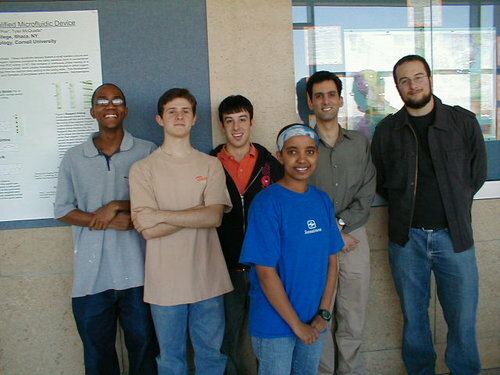 From left: Joseph Livingston, Dan Cordaro, Jonathan Hershenson, Semeret Munie, Vince DeTuri, and Pasquale Iacono. Not pictured: Elvis Shehi. 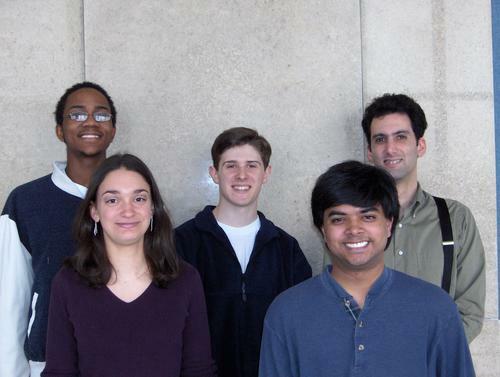 Joseph Livingston, Pamela Ronco, Daniel Cordaro, Matthew Sprague, and Vincent DeTuri. 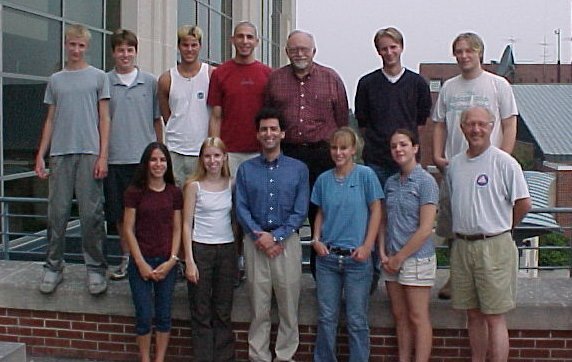 Summer 2003 visiting high school students. 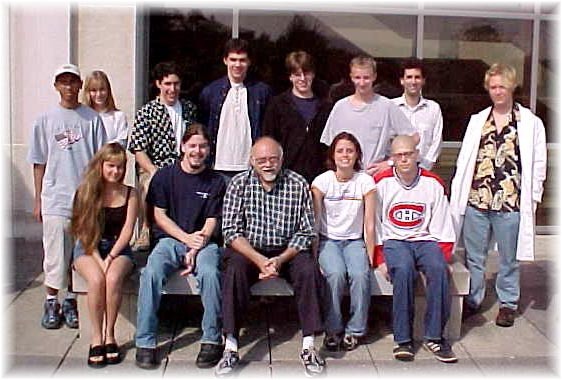 Summer 2002 research students. 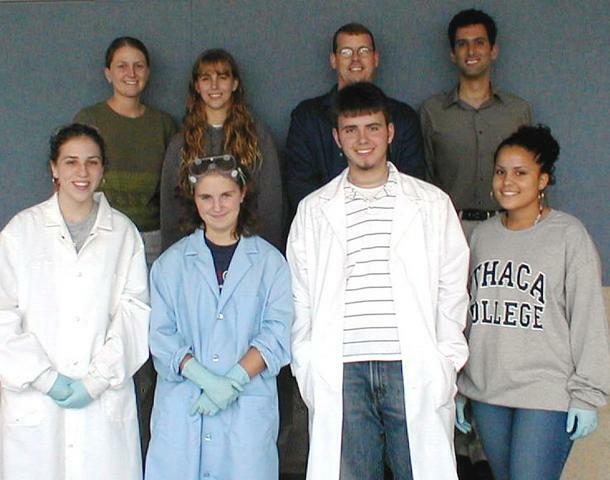 Martina DeSomma, Dr. DeTuri, Jordan Killeen, and Marcos Pires. 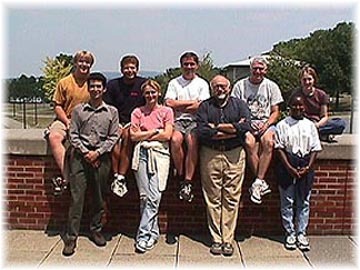 Part of the research group in Spring 2001. 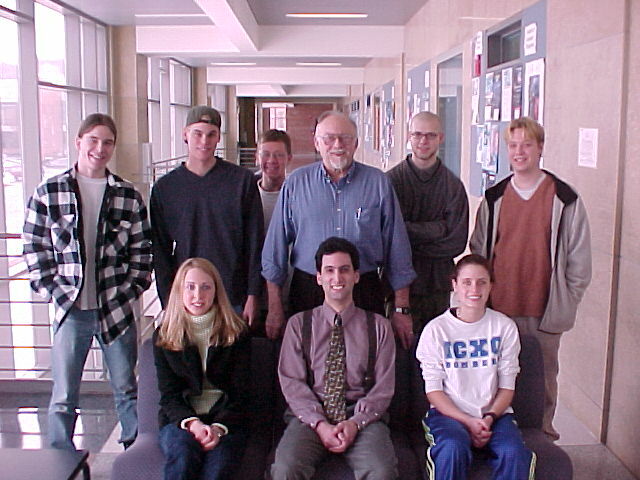 Picture taken after the computational chemistry final (Spring 2000). 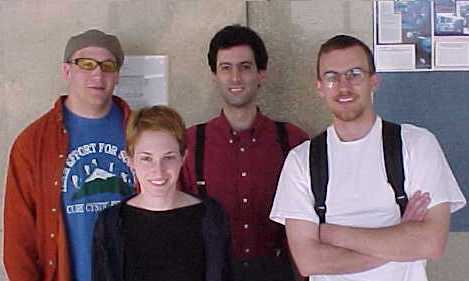 Jason Nicholas, Karen Vasey, Dr. DeTuri, and Jason deKoff.